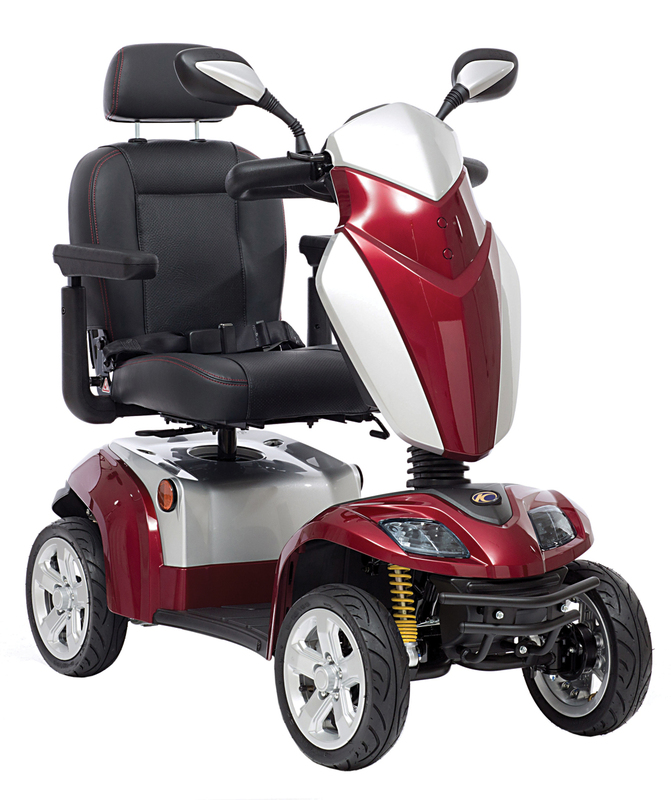 The Kymco Agility, designed using the latest technology, brings you a mobility scooter that will provide you with the very best in performance, comfort, and manoeuvrability. Price excluding VAT.(Incl. VAT £3,478.80) *VAT Relief available on this product. Sporty low-profile tyres are fitted to 12” alloy wheels, giving this scooter a stylish look. To make sure the ride quality is smooth, the Agility is complete with a full oil dampened suspension system. The comfort levels are enhanced even more by the luxury padded captains seat. This seat can swivel to help with transferring on-and-off the scooter, it will also slide to give you more leg room. The delta tiller on this model provides the support your hands and wrists need, making it comfortable to drive long or short distances. On the control panel, there is a bright LED backlit screen where you view (or change) settings such as speed, battery life, indicators, or sound the horn. To stay in touch with the modern world, there’s even a 12-volt socket where you can charge your mobile phone or tablet on the go. As this is a road class scooter, there is powerful LED lighting on the front and rear, indicators on the side. The rear-view mirrors complete features which will make you safe when driving on roads, pavements, or on those dark evenings. The power saving features on the Kymco Agility will help the battery last for a longer time. 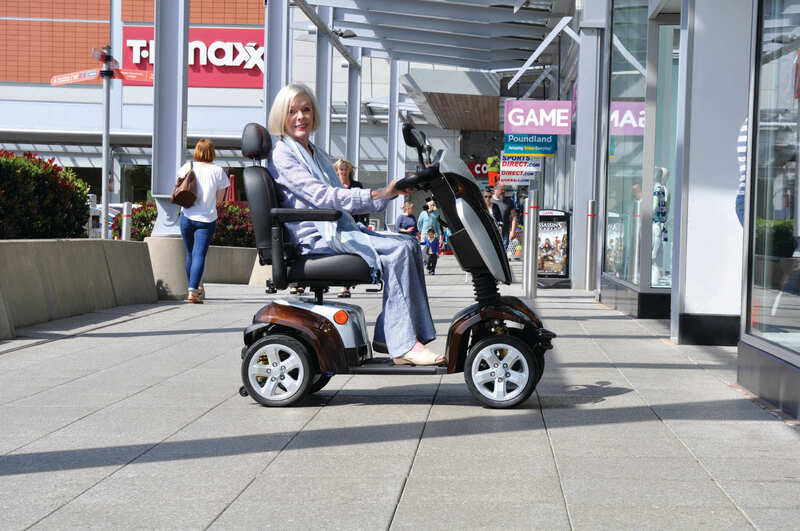 You’ll be able to get a travel distance of up to 25 miles on a full charge, and a maximum user weight of up to 26 stone. Available in 5 colours including glossy black, metallic mink, bronze, cherry red and sapphire blue.